If fishing could be much better, I don’t know if I could handle it! After two weeks of travel and filming, I had a chance to hit the night fishing grounds hard the past week. Tides aren’t spectacular, but it seems no one told the fish that was the case. 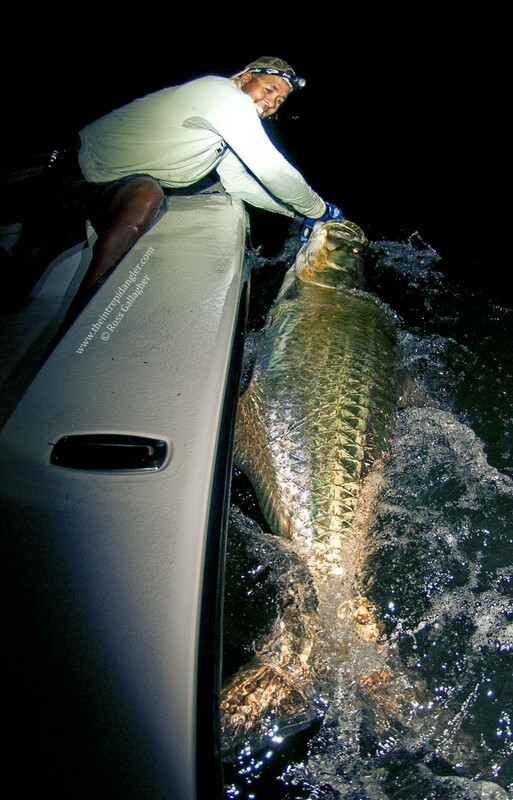 Tarpon fishing continues to be excellent. 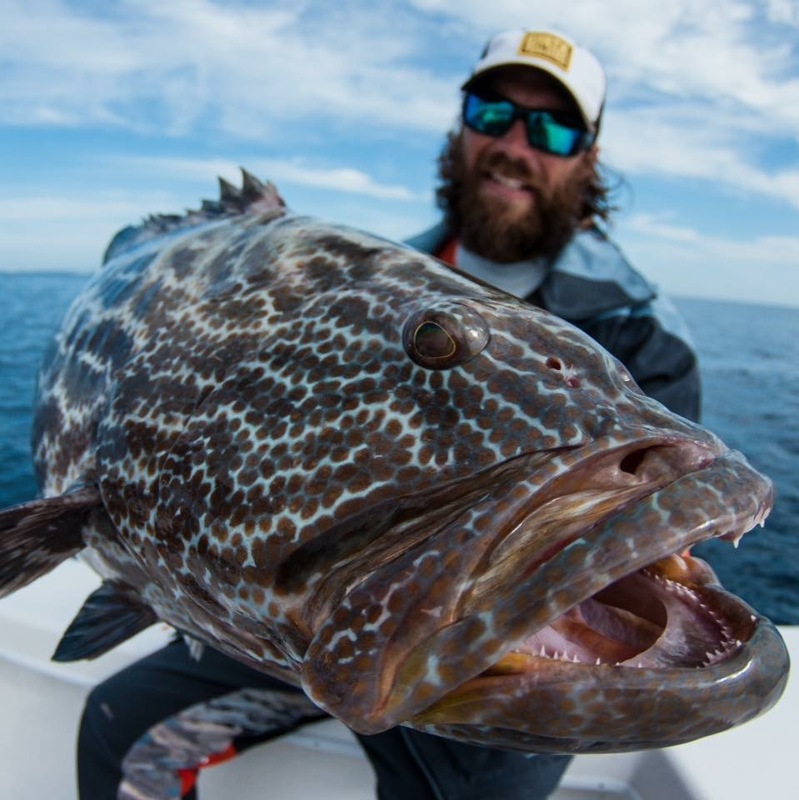 The average size has gone down significantly, with most fish coming in the 60lb – 90lb range. 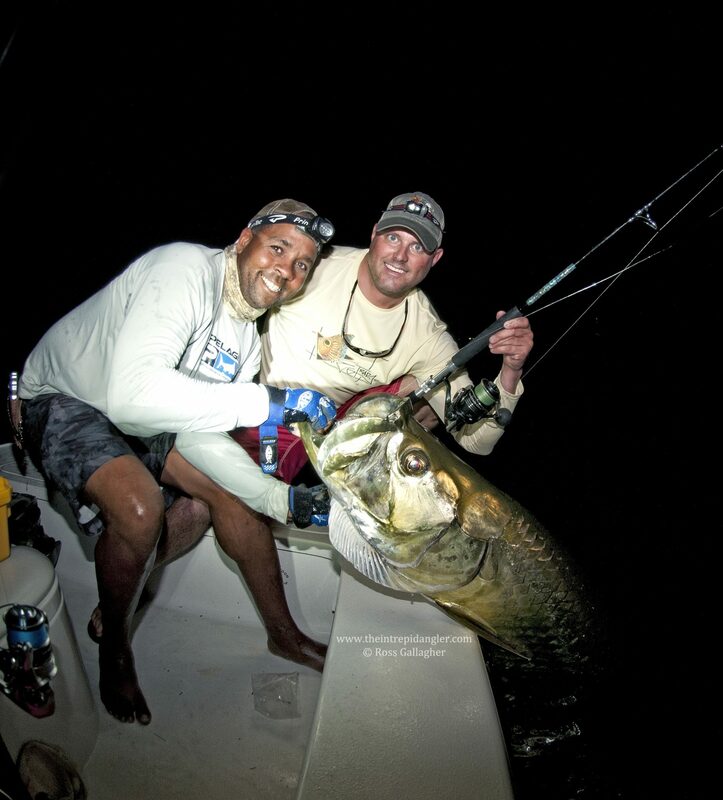 There are some monsters in the mix, as we landed a fish close to 170lbs Wednesday morning. The majority of my catch is still on Hogy’s HDUV Jigging Paddle Swim Baits. 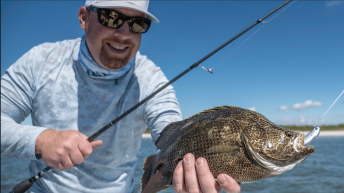 We’ve been testing out new heavy spinning rods from Sewell Custom Rods. These blanks have amazing power to haul in monster tarpon and snook. They offer more of a moderate fast action with a parabolic bend with lots of back bone. They are excellent for live bait anglers and work well for fishing jigs and swim baits. While angling with Jay Clark and Jason Crews, a large live mullet was free lined and quickly eaten by this beautiful adult fish. This is the first fish caught on live bait I’ve photographed sense March. There really hasn’t been a need to use it. 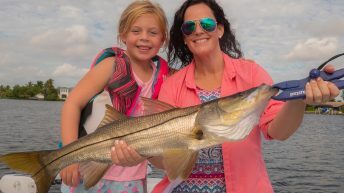 Trophy snook have been showing back up in good numbers. 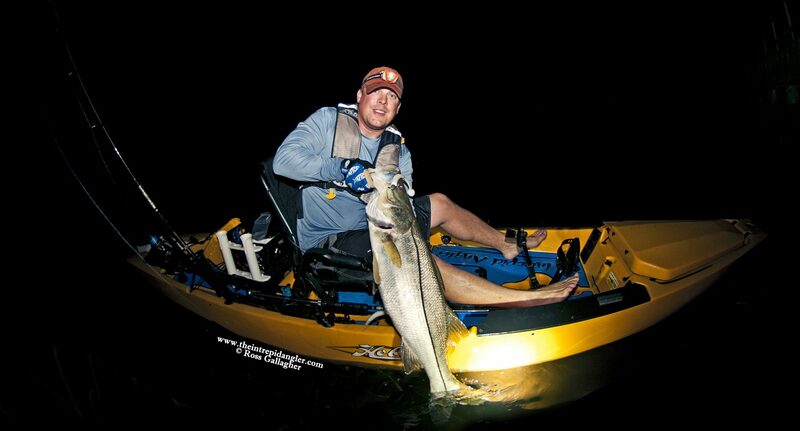 This week I landed my largest snook KAYAK snook while fishing on my Hobie Pro Angler 14. This fish topped out at 44inches and weighted close to 30lbs. Certainly not the biggest snook I’ve caught, but the biggest landed on a kayak. 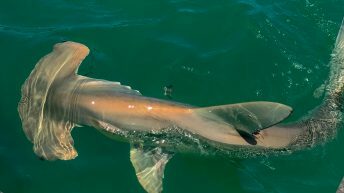 Pulling these big fish out of heavy structure is quite difficult on a kayak, but the Hobie Mirage Drive provided enough power to pull up this sweet fish for a few photos and a healthy release. She ate an 8″ HDUV Bone/Silver Jiggin’ Paddle fished on Barbarian Series Jig Head. I’d like to give thanks again to SeaDek, the custom kit for my PA14 is in it’s second month and holding up perfectly. I absolutely love the comfort and padding it offers on the Kayak. Clean up is a breeze and so far, it’s resisted stains very well. I got lucky again and found another bonus Cobia while bouncing bottom in deep water channels. The fish ate a large Hogy Swim Bait. 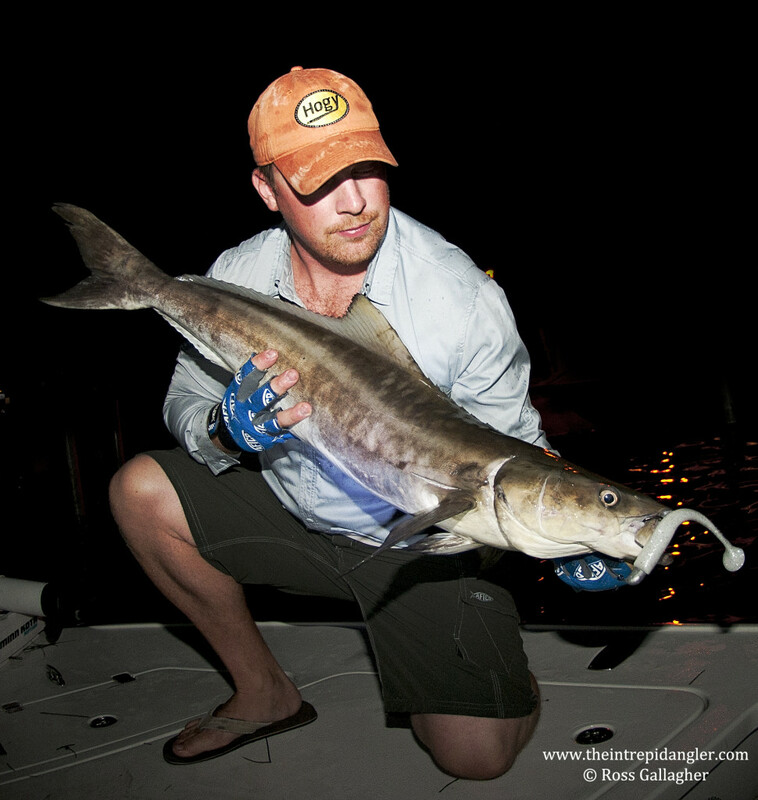 This is the 4th inshore Cobia for us this season. I’ll take it, they are great on the grill and a fun fight! One more shot of this week’s big fish!